Fraunhofer's workshop took several years to complete what everyone referred to as the ''great refractor.'' Struve, while waiting, pressed ahead with his program of observations with existing instruments. In 1822, he published a result for a single star, Delta Ursae Minoris, the second star away from Polaris in the handle of the Little Dipper asterism. He claimed to have measured its parallax angle (defined as half the star's annual shift in angular position) as 0.163 arcseconds, with a ''probable error,'' a measure of his uncertainty, of 0.026 arcseconds. This parallax angle corresponds to a distance of 20 light-years. Measuring the parallactic shift of 0.163 arcseconds, as Struve claimed to have done, is equivalent to measuring the diameter of a penny seen 8 miles away. Textbook authors tend not to mention this result because it is incorrect (the modern value is 0.001 arcseconds); the result didn't arouse any strong feelings among Struve's peers that he had convincingly solved the problem, and was later repudiated by Struve himself. Yet at the time of publication, Struve must have believed that he had found the first reliable distance to a star. He must have been impatient to receive the new, larger telescope from Fraunhofer to extend these important parallax measurements to other stars. The search for parallax had become something of a cottage industry among amateur astronomers, and Struve was eager to lay inferior and misguided claims to rest. On the 10th November last  this immense telescope arrived here, packed up in 22 boxes, weighing altogether 5,000 pounds, Russian weight. On opening the boxes, it was found that the land carriage of more than 300 German miles [about 940 km] had not produced the smallest injury to the instrument, the parts of which were most excellently secured. All the bolts and stops, for instance, which served to secure the different parts, were lined or covered with velvet; and the most expensive part (the object-glass) occupied a large box by itself; in the center of which it was so sustained by springs, that even a fall of the box from a considerable height could not have injured it. Considering the great number of small pieces, the putting together again of the instrument seemed to be no easy task, and the difficulty was increased by the great weight of some of them; and unfortunately the maker had forgotten to send the direction for doing it. However, after some consideration of the parts, and guided by a drawing in my possession, I set to work on the 11th, and was so fortunate as to accomplish the putting up of the instrument by the 15th; and on the 16th (it being a clear morning) I had the satisfaction of having the first look through it at the Moon and some double stars. The telescope represented a point of national pride, and Struve must have felt some pressure to produce great results from it. Czar Alexander I gave both Fraunhofer and Struve diamond rings for their roles in creating this ''great refractor'' and bringing it to Dorpat. Utzschneider, Fraunhofer's partner, informed the university that the firm had absorbed most of the cost over-runs, anticipating that the telescope's reputation would bring new business. Working alone, for the most part, Struve set to work on a catalog of all double stars north of declination —15°. On clear nights he systematically swept the telescope along the north-south direction, pausing at every double star to estimate the magnitude of each component, the separation between the components, and the position of the double system. One out of every 35 or so stars turned out to be double. Even allowing for time to record his observations, he found he could examine more than 400 stars an hour this way. He ultimately listed about 3000 items, mostly doubles with some triples included. With more time, Struve could have recorded precise positions and separations. His aim, for the moment, was simply to compile a list of all double stars brighter than ninth magnitude, adding his to those that the Herschels and other observers had found. The astronomical community evidently valued this contribution, for when the resulting work, Catalogus Novus, came out in the summer of 1827, the Royal Astronomical Society rewarded him with its prestigious Gold Medal prize. Fraunhofer, unfortunately, did not live to see the use Struve made of his great instrument; he died of tuberculosis in 1826, at the age of 39. 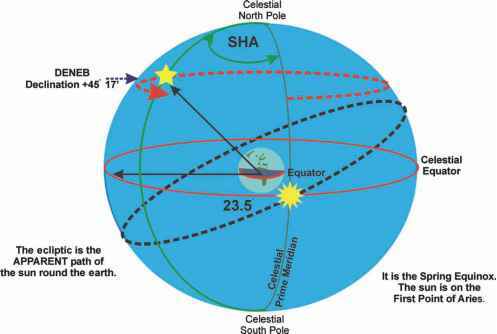 Struve intended the catalog to support a search for measurable stellar parallax, and in a lengthy introduction, he took the trouble to help other astronomers make the best use of it. The main problem for seekers of parallax was to select optical doubles, as opposed to physical binaries. Struve explained, using a statistical analysis of his data, that closely-spaced doubles were more numerous than anticipated and were probably stars in orbit around each other, while the more widely-spaced double stars were more likely to be chance alignments of near and distant stars, suitable for parallax tests on the brighter of the two in the pair. He generously pointed out to his readers two specific examples of widely-spaced double stars that he thought held the most promise for parallax measurements. One was Alpha Andromedae, the brightest star in the constellation Andromeda. The second, which he was to work on extensively himself, was the bright star Vega, otherwise known as Alpha Lyrae, with its companion 42 arcseconds away.